We are heading across the high plains (3,000 feet elevation) toward the mountains, which will dominate the final 150 miles of the Camino until it drops into Santiago de Compestela. 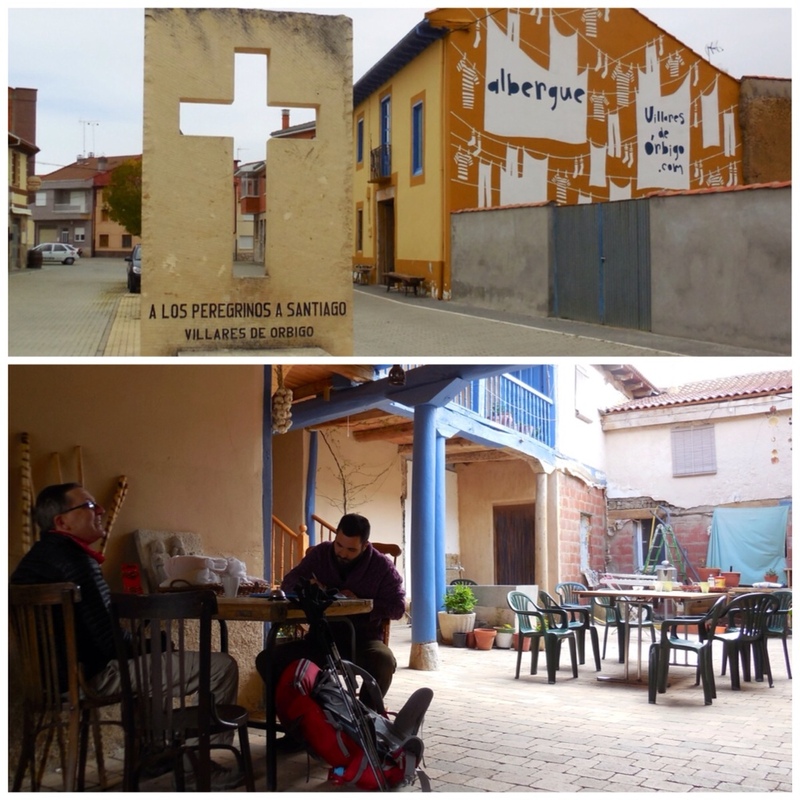 The villages here contrast with the medieval villages of the first 200 miles. Temperatures have been in the 40s, with icy wind at our backs. The forecast is for rain tomorrow and some pilgrims are fearing snow when we hit the mountains. Ah, life on the Camino! Sunday night, our host was Pepe Giner (pictured on menu) who prepared one of the best meals we have had in Spain. Before dinner, we had happy hour in Masarife's village bar with two Americans and a roomful of dominoes-playing local men. We think the odd-looking tower holds water. 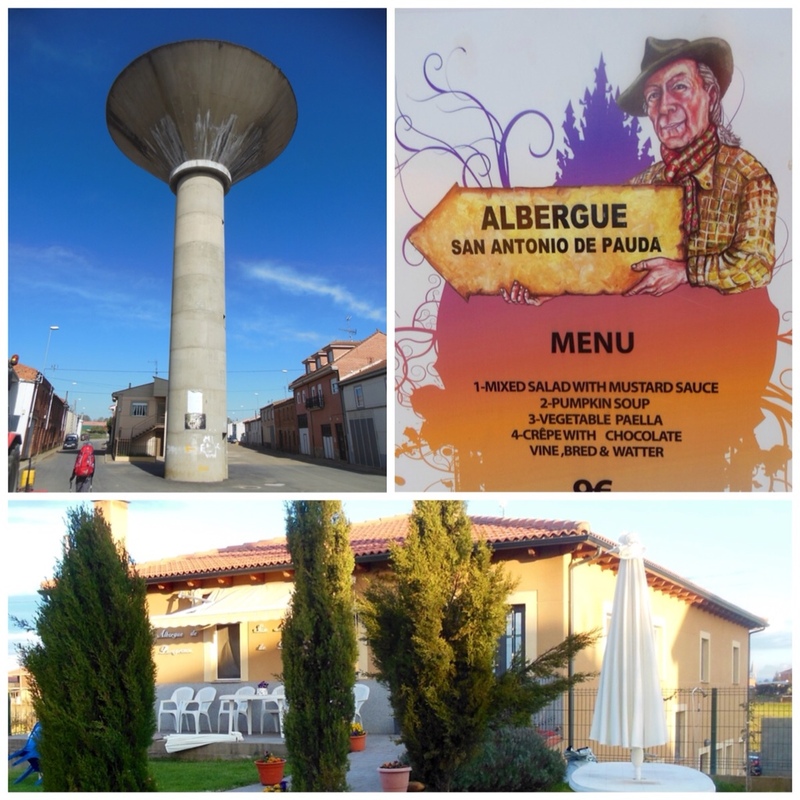 I will have my birthday dinner in this albergue in Vollares de Orbigo, which has the feel of a wild-west outpost. The host, Pedro, was most welcoming as he registered my passport. !Feliz cumpleanos, Reg! You have chosen a memorable way to celebrate your birthday! Thank you, Jeannie! Here’s to a drink together when we return!